Play at All Slots here! When it comes to casinos that have stood the test of time, All Slots is among the most prominent ones. Having been launched in 2000, it almost immediately won a license from the Gaming Authority of Malta. Later on, the casino got a quality seal of eCOGRA and won multiple awards for excellence (Online Gambling Insider and Casino Man awards). 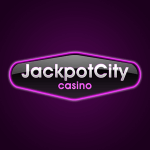 It is also a member of the highly regarded Jackpot Factory Group and has received the Casinomeister Award for Best Casino Group twice. If one would make a PayPal casino list or look at other PayPal casinos Canada, All Slots would be among the top ones. And justly so, since All Slots Casino Canada is very popular worldwide and has secured its place as a reputable gambling site. The website features French, German and Swedish languages in addition to three versions of English, and has an intuitive design. Read on the following All Slots Casino review to see for yourself why this website is a great place to gamble. All Slots Casino offers each of its new players a wondrous Welcome Package. You can get up to €1500 in your first week by making three deposits with 100% match bonus. This means that if you deposit €500 as you register on the site you will get extra €500. After you keep playing and make two more deposits of €500 your total All Slots Casino bonus would be €1500. Not bad at all, right? In addition, there are generous rewards for those who register a Real Money account on the website. The more Real Money account holders play and wager, the more Loyalty Rewards points they collect and the more bonus credits they can get. All Slots Casino takes pride in treating its loyal patrons like royalty. The software on All Slots Casino is powered by Microgaming, the world’s leading provider of cutting-edge games for online casinos. Being a Microgaming casino accepting PayPal, All Slots has become a trusted name in the industry. It is one of the most fun places to play too since it offers more than 700 top-quality online games. Despite its large repertoire, the casino regularly adds more games to its website to keep the things fresh and exciting. All Slots games are organized into eight categories: Featured, Slots, Tables, Live Casino, Video Poker, Progressive, Variety and Vegas. All Slots Casino features an extensive collection of online slots including 3-reel classics, 5-reel video slots, progressive slots, and fruit machines. You can try a few classic slots like 1-Arm Bandit, Gold Coast or Oranges and Lemons. Modern video slots have up to 243 pay lines in addition to wild symbols, scatters, free spins, multipliers, and bonus games. Popular video slots include Thunderstruck, Tomb Raider, Cashapillar and Dolphin Coast. You can also try your luck at progressive slots with unlimited jackpots such as Mega Moolah, King Cashalot, or Tunzamunni. Fruit Machines are UK-style slot machines with special bonus games. Among those, you can enjoy Pub Fruity, Cash ‘n’ Curry, or Game On. Despite what its name might suggest, All Slots is not just about slots. The casino also offers an array of other online games, including varieties of poker, blackjack, roulette, baccarat, and more. When it comes to roulette online real money PayPal, you can choose among European, American and French roulette in addition to Premier Roulette or Roulette Royale. All Slots Casino also offers a huge array of online poker games, a variety of single-hand and multi-hand blackjack games as well as dice games and some unique games. All Slots Casino lets you play many familiar games on a whole new level thanks to its live dealer section. 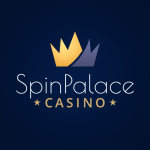 Here you can watch the cards dealt or wheel spun by an actual croupier in real time – all from the comfort of your home. You can play Live Poker, Baccarat, Blackjack, Roulette, Dream Catcher and other live games on the website. 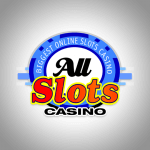 All Slots Mobile Casino can be accessed via i.allslotscasino.com or au.allslotscasino.com. Unlike most casinos that have been launched only recently, All Slots offers games both for smartphones and for low-end devices. While you have to download the games for the latter, you’ll only need your Internet browser to play All Slots Mobile Casino Games on your iPhone, iPad, Blackberry, or Android. In addition, All Slots Casino offers some native apps for Android devices to bring you even better gambling experience. Those are an app for All Slots Casino Lobby to access most of the games and a separate one for Blackjack. 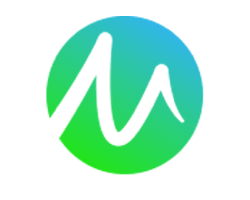 The apps have superior graphics and sounds and are free to download. A wide variety of trusted banking methods are available at All Slots Casino including MasterCard, Visa, Skrill, Neteller, Entropay, Instant Banking, BankLink and more. Since All Slots is an international destination, its supported currencies are EUR, GBP, and USD. Withdrawals from your casino account are processed from Monday to Friday, following a 48-hour pending state. A withdrawal will usually be paid to the same banking method you used to make your last deposit. There are a number of things that make All Slots Casino stand out from the others, including a huge number of available games, generous Welcome Package and efficient customer service. This description is a pretty good summary of All Slots: “[I]t is a slots paradise for sure, but it is also a full-service casino offering a tremendous variety of table games.” Perhaps the best part of this is that the games on All Slots are powered by Microgaming, a leader among casino software developers. The casino has everything covered with multiple banking methods and the mobile platform completes the gaming experience as it allows you to play on the go. Overall we would certainly recommend All Slots Casino both for seasoned players and those who are just stepping into the world of online casinos. Feel the glamour of Las Vagas and enjoy the thrill of playing your favorite games at All Slots.